Legendary documentary maker Frederick Wiseman received an Award of Distinction from the American Society of Cinematographers (ASC) at the 20th Annual ASC Outstanding Achievement Awards, held February 26. Wiseman is only the second documentarian to receive the honor in the history of the awards; Albert Maysles was the first, in 1998. 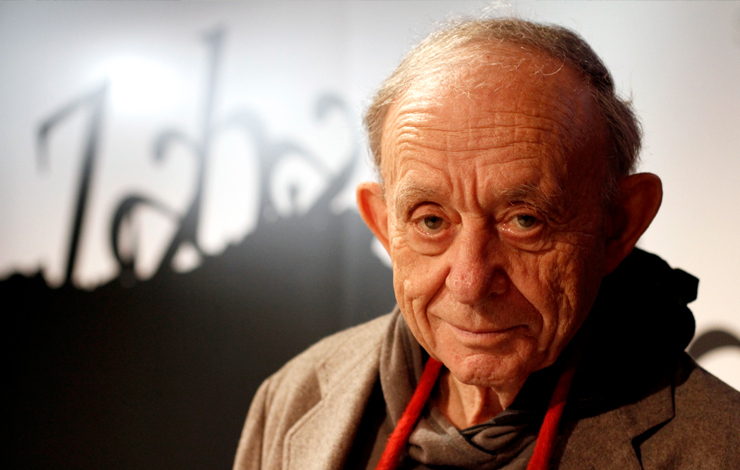 "Frederick Wiseman has earned the admiration of our members for his accomplishments and integrity as a nonfiction filmmaker," said Russ Alsobrook, chair of the ASC's Awards Committee, in a statement. "His films are the histories of our times. They are compelling stories about institutions that reflect our best and worst values." Wiseman has made 35 documentaries about such diverse institutions as a prison for the criminally insane, a public school, a race track, military basic training, a meat-packing plant, a clinic for low-income patients, a ballet, a zoo, a library, public housing and the city of Aspen. An IDA Career Achievement Award honoree in 1990, Wiseman has also earned a Peabody Award, three Emmys and additional Career Achievement honors from the Human Rights Watch International Film Festival and the Full Frame Documentary Film Festival. Wiseman's first film was Shirley Clarke's The Cool World, which he produced. He then made Titicut Follies, about a state prison hospital for mentally ill patients in Bridgewater, Mass. That film set the tone for a remarkable oeuvre that examines the relationship between the institution and its clients, and the gap between ideology and practice. Wiseman generally records 60 to 80 hours of 16mm film and synch sound for each of his documentaries. He eschews narration, music and interviews. "I shoot everything on film, because it creates an illusion of depth, with more vibrant colors and subtle tones that speak to the audience on an emotional level," he said in a statement. Wiseman is currently working on a documentary about the Idaho state legislature.